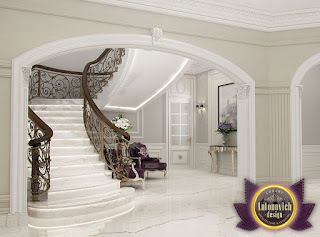 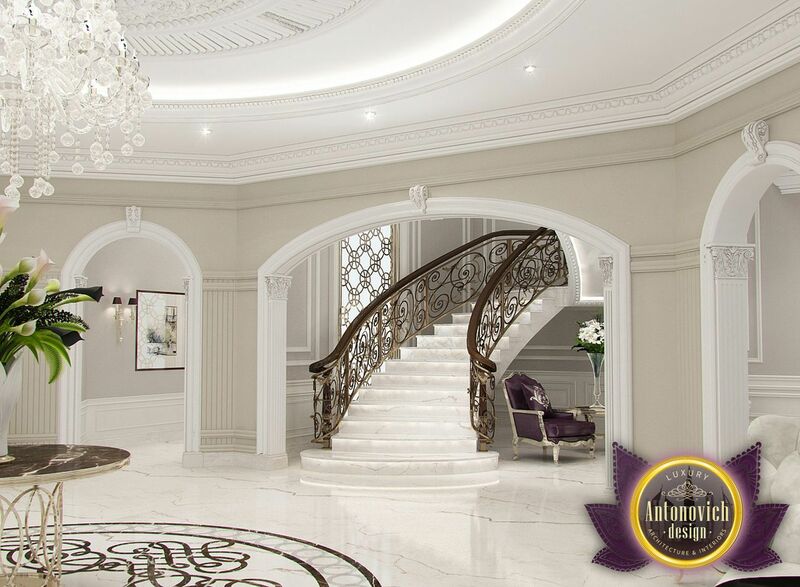 Staircase in entrance interior may become its main decoration. 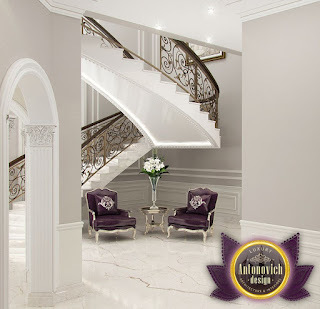 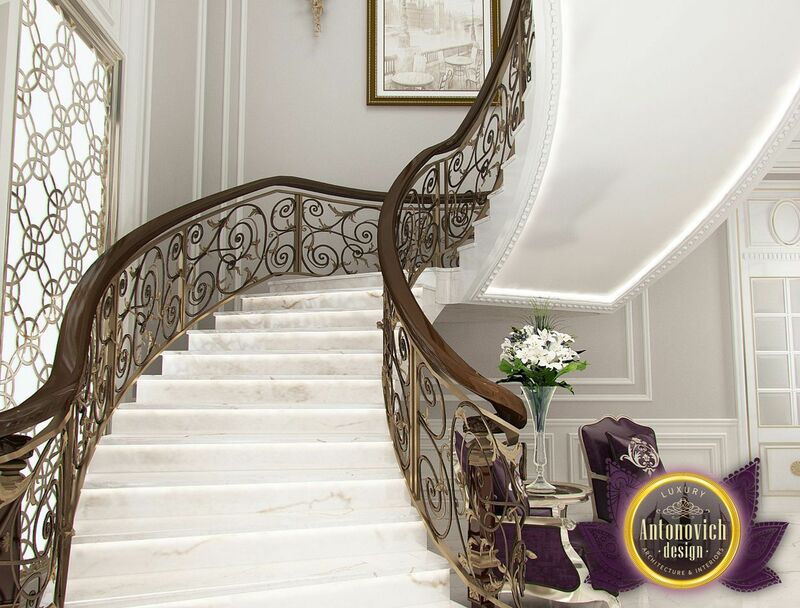 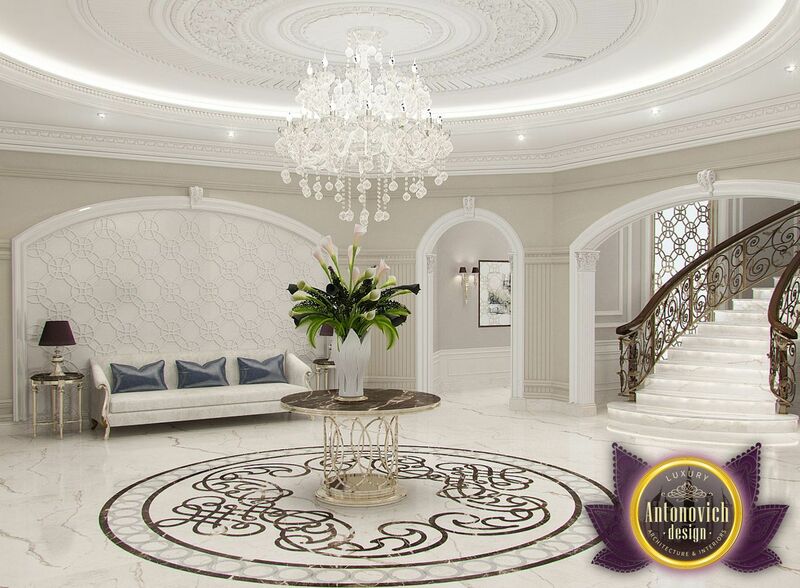 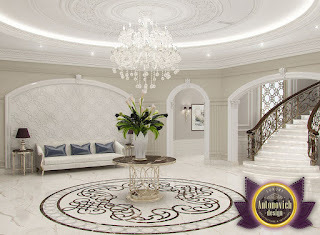 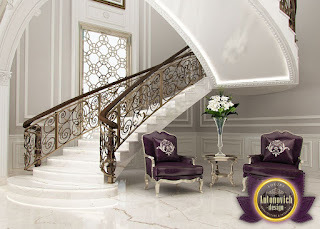 Modern luxury villa projects from Luxury Antonovich Design studio include the design of stairs. 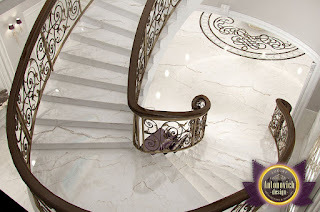 In this project, a staircase of white marble decorated with a beautiful wrought-iron balustrade. 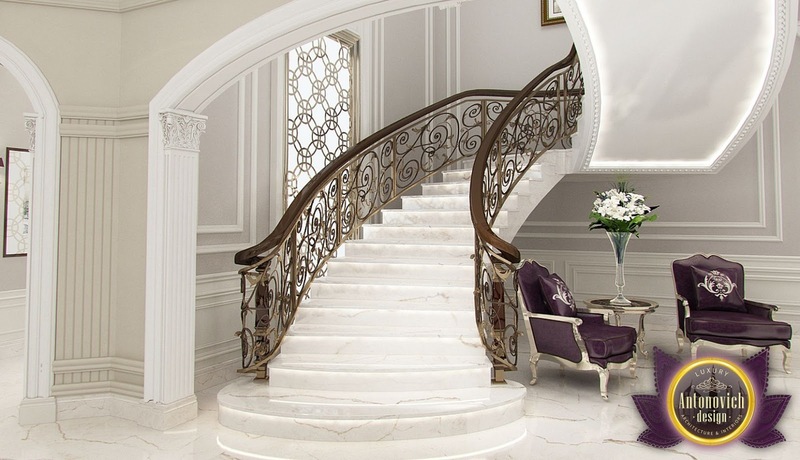 The graceful lines of portal ladder further emphasize the illumination lines.